Just occasionally, seemingly ordinary conditions or events can combine to create a blissfully perfect moment during which the weight of all our stresses and worries is lifted from us. Warm, moving moments such as these, comfort and inspire us, reminding us of how rich life can be. It would require no great leap of faith to imagine that readers at this site are able to appreciate the wonders in the world around us and I would like to share with you a simple, but enriching moment that I was lucky enough to experience in San Francisco this week. 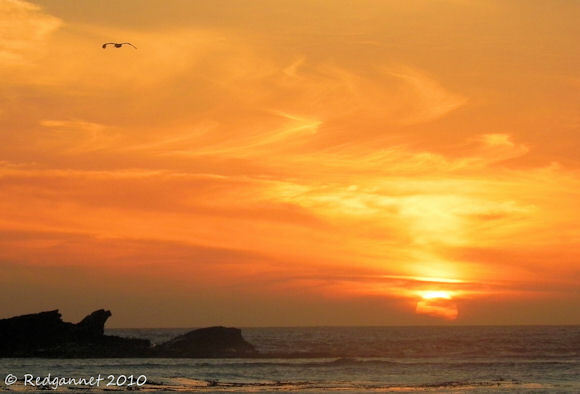 The sun was low over the Pacific Ocean as I rounded the headland at Pillar Point, Half Moon Bay. A rough seawall protects the harbour there. The sun’s rays were just able to clear the rocks and shine onto a thin beach which had formed on the harbour side of the seawall. A Sanderling flew in and began its endearing, characteristic dance in the ebbing water. 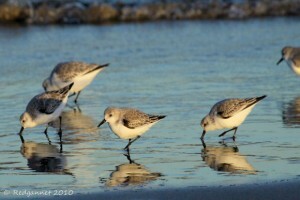 A few more flew in to join the dance and soon a dozen or so were tripping the light fantastic, led by the gentle rhythm of the waves. Like little angels, they danced in the last rays of a weak November sun with their perfect partners reflecting their every move in the wet sand. For one joyful moment, the world had no weight and Time missed a step in its relentless march. 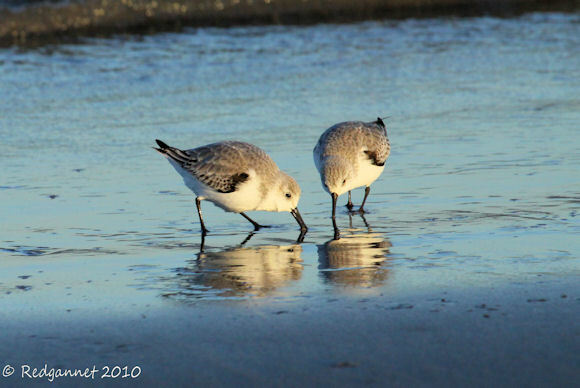 Aren’t Sanderlings just the most delightful of birds? I could have watched them forever in the beautiful light of that Pacific Sunset, dancing with their sparkling reflections. They did not seem at all perturbed by my closeness as the rhythm of the waves kept them dancing until, at last, the sun fell below the rocks and the dance floor darkened. To the south the eponymous half-moon looked down on the bay as the dancers took to the wing. It may not seem much to those who cannot appreciate the exquisite delicacy of such moments, but I know that anyone reading at this site has had similar simple, yet life affirming moments that move and inspire. Don’t think me maudlin, I am not usually given to gushy out-pourings, but every now and then my world-weary self needs a boost and what better way to revitalise oneself than to have a personal performance from little angel dancers? Thanks for sharing it with me. The reports for this week’s trip to San Francisco featuring visits to Lucy Evans Baylands Nature Interpretive Center, Shoreline at Mountain View and Half Moon Bay can be found at Redgannet blog. I know that seeing Sanderlings cannot compare to hand-feeding a Giant Ant-pitta or losing ones virginity, but taking pleasure from the simple things in life sustain us until we too can get to Refugio Paz de las Aves. Please… more maudlin gushy outpourings! Nice post. Beautiful experiences like this are what makes birding such a fulfilling, healing, and life-enriching endeavor. 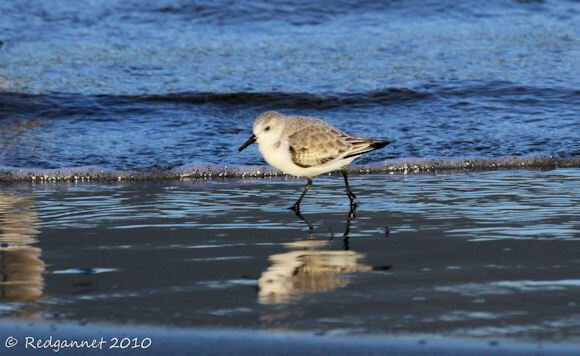 Sanderling are cool!They seem to have endless energy as they run around and a birding friend commented that they must have that brand of battery that outlasts the rest!As I cycle along the beach on low tide they just run around me and just make you feel good to be alive. Nice post and you have motivated me to write about those special moments on my next post. Thanks for sharing. I loved this post. More please!